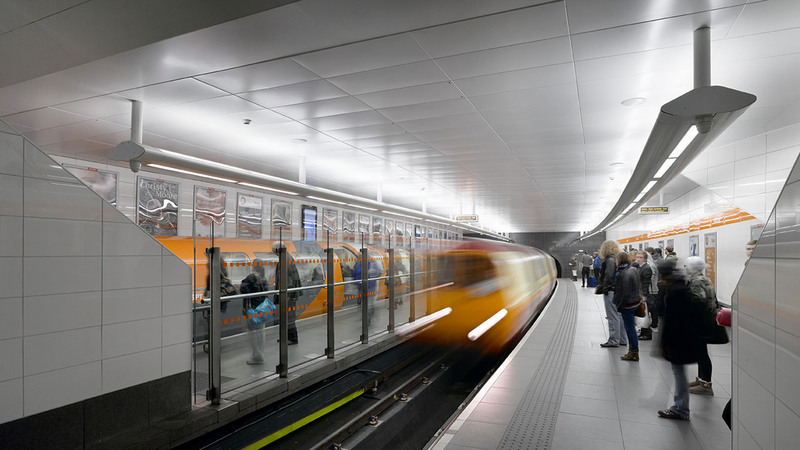 AHR WAS APPOINTED BY STRATHCLYDE PARTNERSHIP FOR TRANSPORT TO PROVIDE DESIGN SERVICES FOR THE REFURBISHMENT OF THREE STATIONS WITHIN THE GLASGOW SUBWAY SYSTEM, INCLUDING HILLHEAD, IBROX AND KELVINHALL. 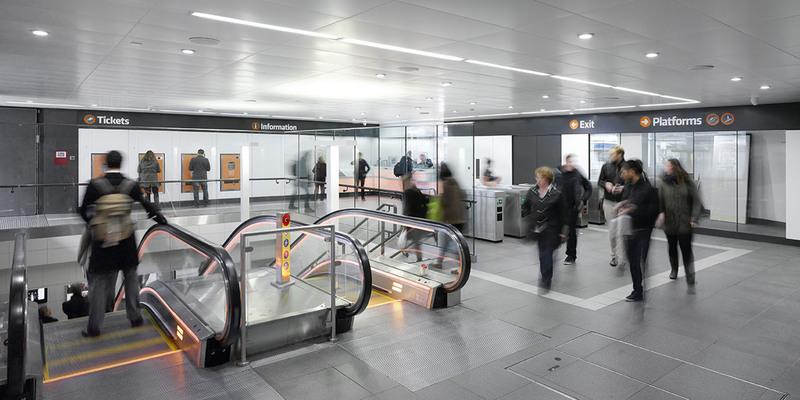 The stations have been designed to increase the visibility and street presence externally whilst providing a welcoming environment that focus on a consistent layout and a clear, calm and uncluttered interior with simple, bright and durable finishes that promote a reassuring and enjoyable passenger experience. 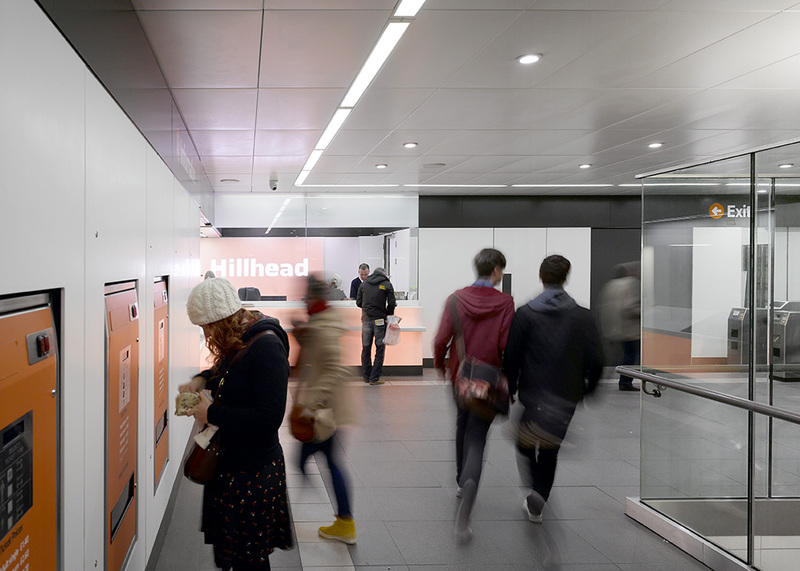 Hillhead was first scheme to be completed in 2012. 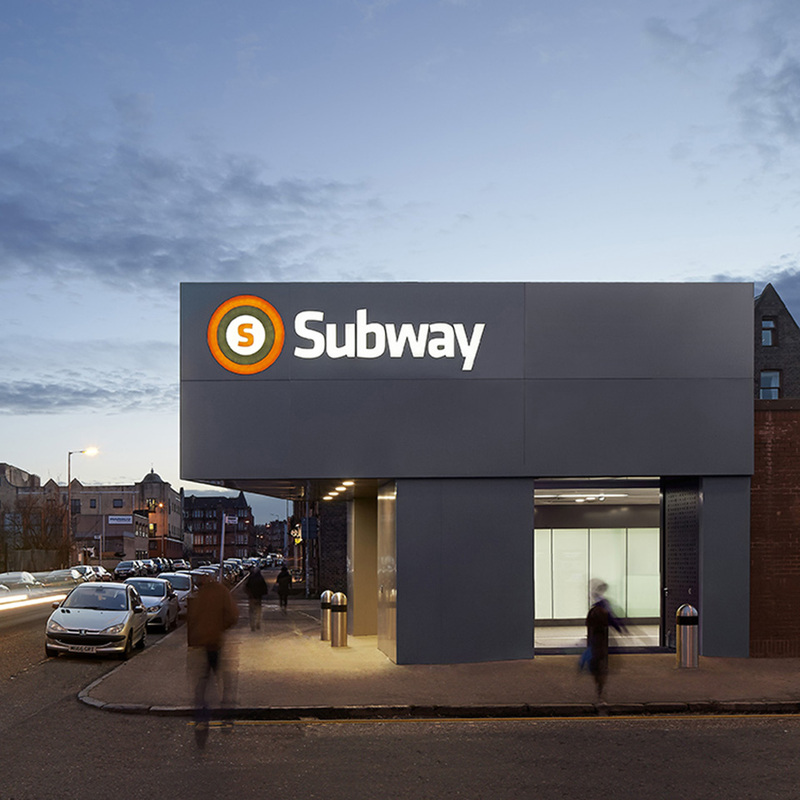 The scope of the project was to strip the station back to its structure, replacing the escalators, replacing the entrance / ticketing hall and ticket systems, incorporate new security systems, replace the people movement systems, and completely renewing all finishes and signage. 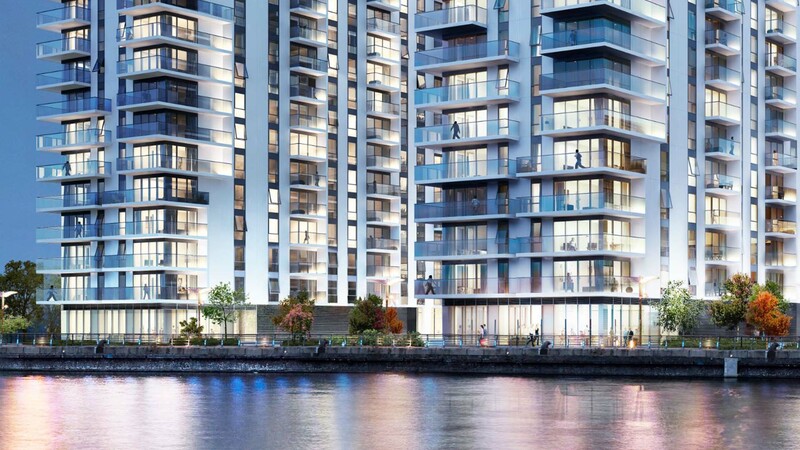 Additionally all mechanical and electrical systems were replaced and renewed. 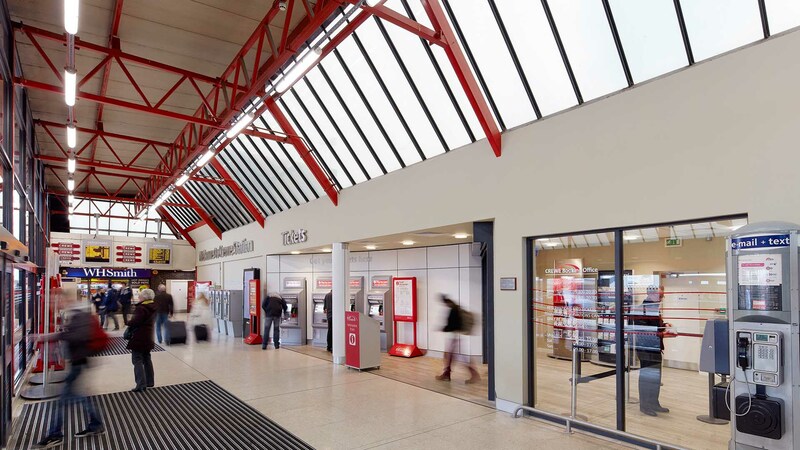 The principal challenge was to tailor the renewal systems precisely to the phasing required to maintain the operations of the station within a very confined environment. 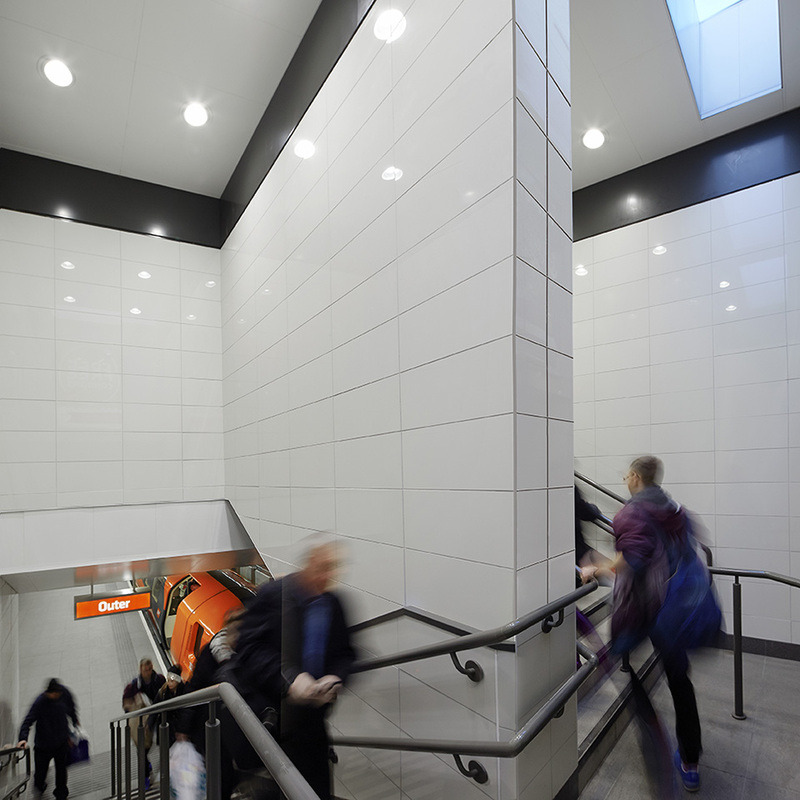 Serving a high volume of passenger traffic, the stations successfully maintained a live operating environment throughout the construction period to avoid disruption at peak travel times.